RECON Services was tasked with providing a design solution that would enable the site to be ready for development, thus ensuring the potential migration of contaminants from the site was halted. A deep soil mixing method for in-situ remediation and encapsulation of contaminated soils was needed to render the polluted site suitable for the natural environments future use. 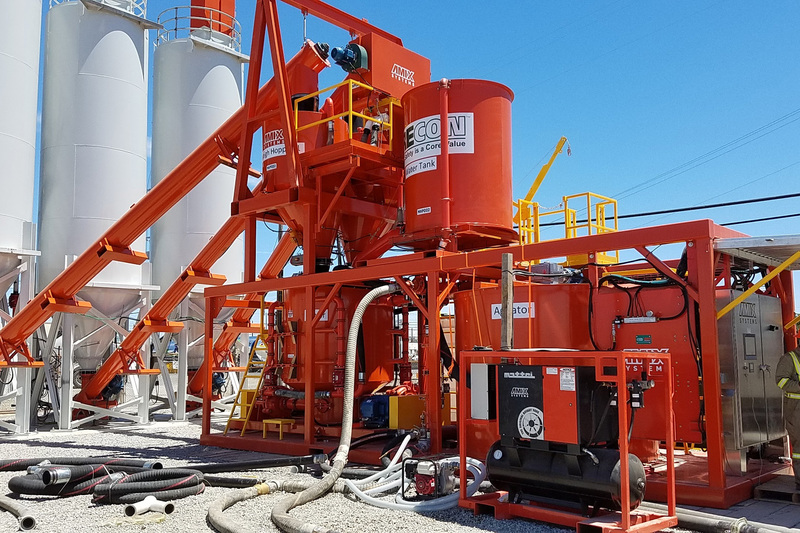 To remediate a plume of underground contaminants inside of an active oil refinery, AMIX Systems was contracted to manufacture a high-shear colloidal grout mixing system that will feed grout for deep soil mixing. The project required a high-efficiency, high-output system while producing superior quality uniform mixes on a short time-line. The job had a fast mobilization date and required a high capacity slurry plant capable of accurately mixing three separate dry bulk components. AMIX Systems designed, manufactured and supplied the AGP Grout Plant within 4 months from start to completion. 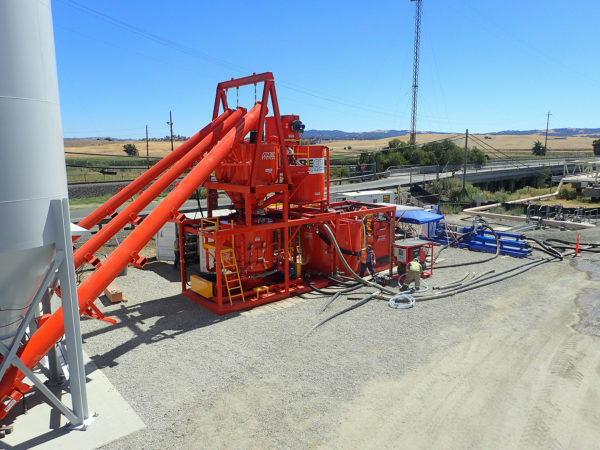 AMIX Systems was an outstanding partner in helping design and build a slurry plant that exceeded RECON’s service needs. 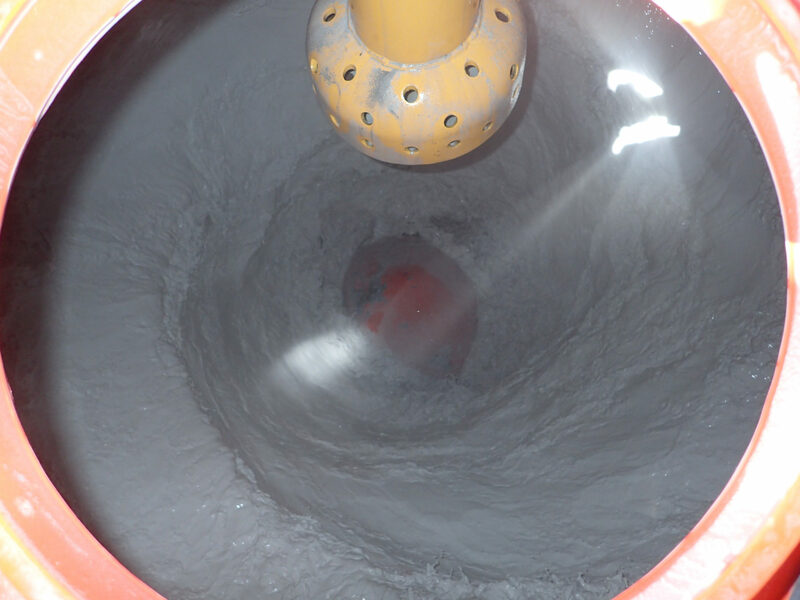 The AGP-Colloidal Grout Mixer increased production with mixer capacity of 6 m3 (1,585 gallons) powered by two 8”X4” Colloidal Mill 112 kw (200hp) motors. The AGP gave RECON Services the ability to produce outputs ranging from 100 – 150 m3/hr (139 yd3 /hr). AMIX Grout Plant (AGP) was simple to operate, low maintenance, compact having a low carbon footprint and easily accessible for site set up and mobility. 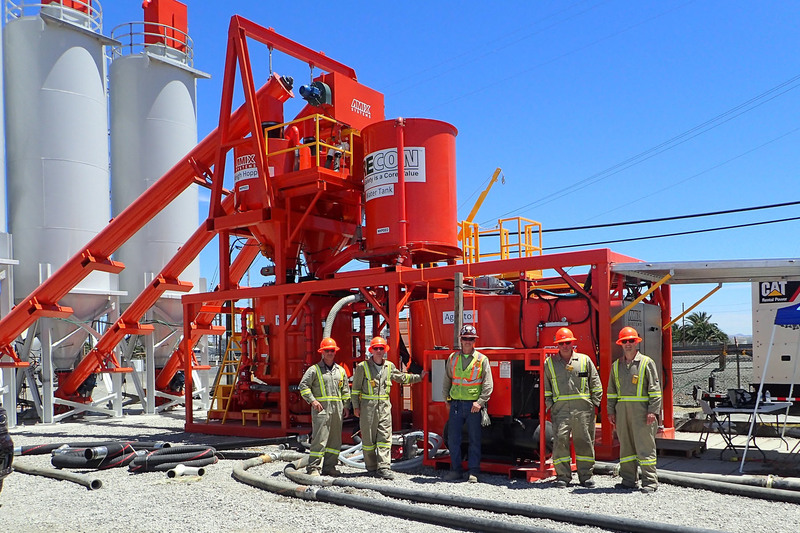 The AMIX Grout Plant (AGP) allowed RECON to quickly mobilize and maintain a high capacity slurry plant capable of accurately mixing three separate dry bulk components for an aggressive construction schedule. Construction Manager , Remedial Construction Services, LP. AMIX Grout Plant (AGP) was built for client to produce extremely accurate, high quality, on-demand grout.